Can you imagine cooking for twenty people three times every day? 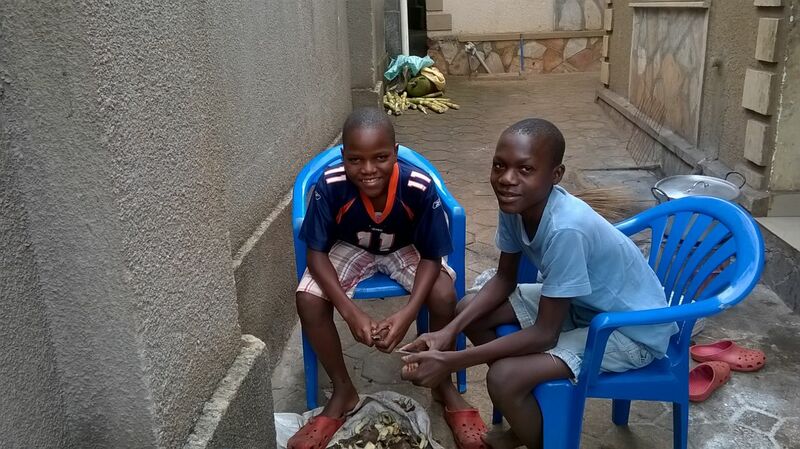 Everyone at Kirabo Seeds home is in awe of Auntie Julie’s special gifts in the kitchen. When I watch her work I am inspired. She never stops, never complains and never tires. 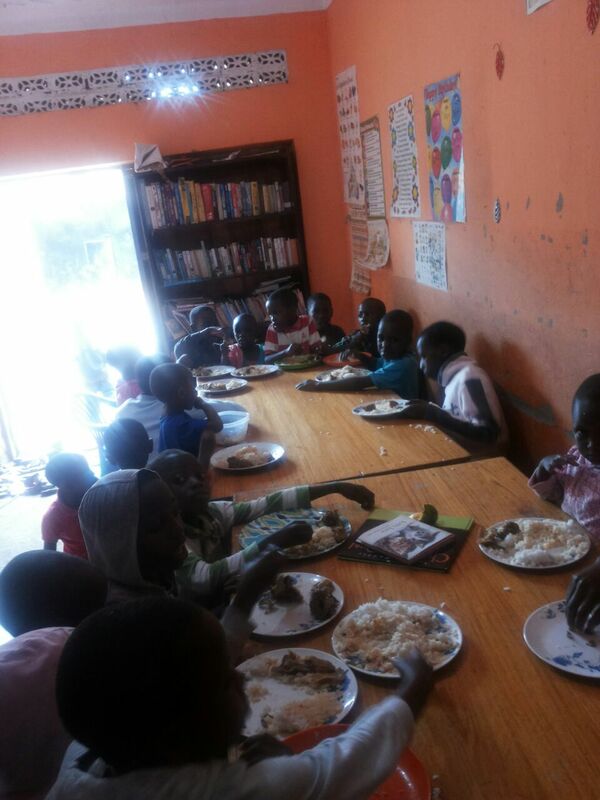 Once a month we invite as many community children as we can find to join us for the main meal of the day. We like to serve fish that day in hopes of getting some good protein into the kids who might only have beans and posho in their diet. 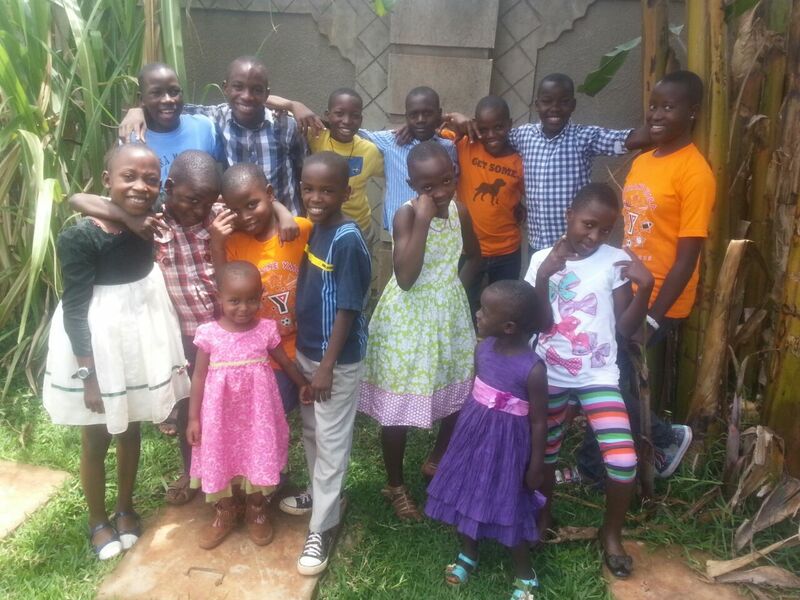 For Easter weekend we had a great celebration with all of the neighboring children. The rains came down, turning the roads to mud, sucking the shoes off anyone hustling to reach cover before being drenched to the bone. 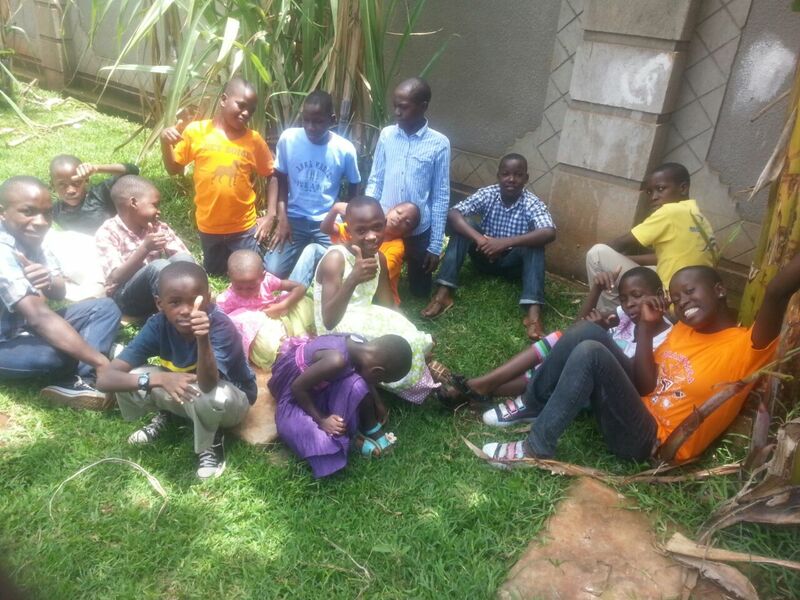 We packed over thirty extra children into our small family room the Saturday before Easter. Our kids re-enacted the Easter story from the bible. They were genuinely serious about including every detail from the floggings, the nails, the carrying the cross, to Peter having his ear sliced off. After our skit we showed The Passion of Christ movie translated in Luganda. Every child in the room, even those with good bible teaching were emotionally affected by the movie. They began to connect the truth that Jesus didn’t really want to die, he did it for us as a sacrifice. He did it so we could have eternity in heaven, forgiveness, and fellowship with Him. And we don’t deserve it. It was a gift. Free. They were all able to understand this information with more absorption. 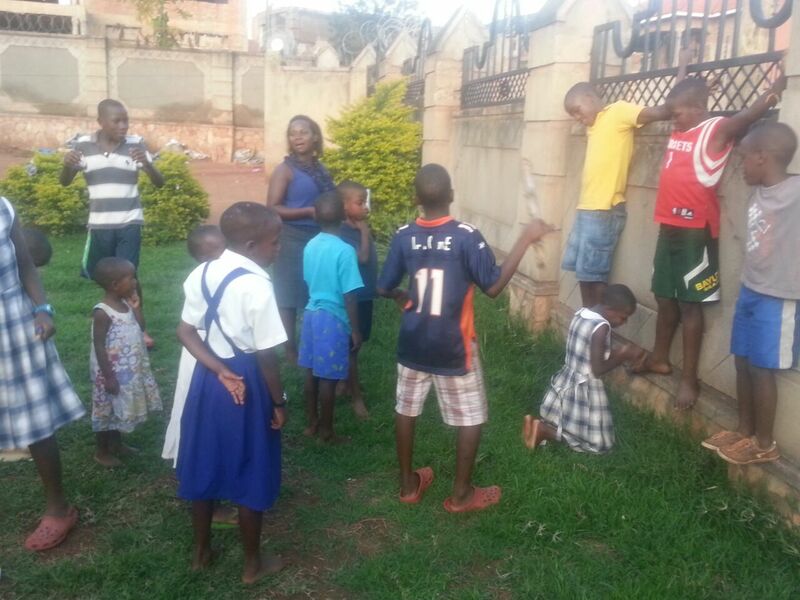 The children embarked on a good discussion about what they saw and how it applies to the way they live their lives. Little fireworks exploded in their minds and they began to understand the gospel message in a deeper way. After the movie they enjoyed a great feast prepared by Auntie Julie. They sang songs of praise. They shared their stories and played games. These are the very same children we will give bibles to when I am able to share with them the generous supplies people have sent. 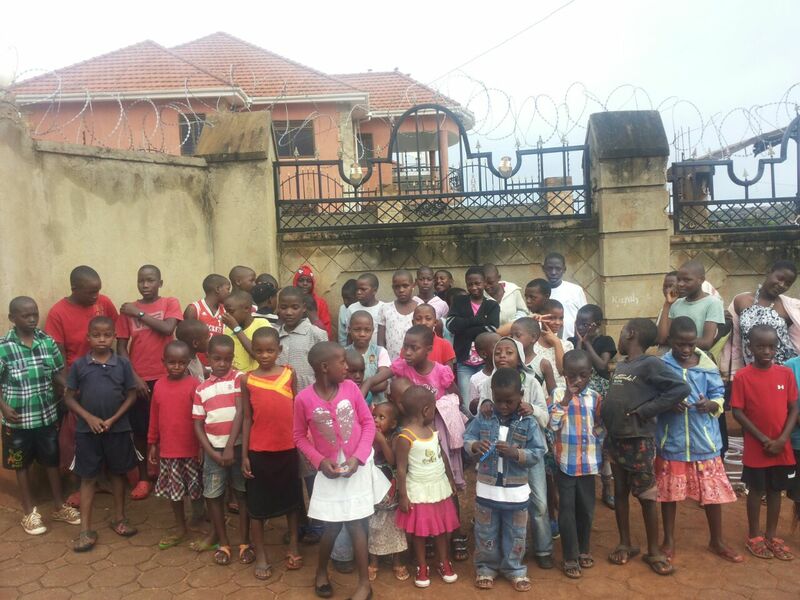 we welcomed thirty neighborhood children to our home to celebrate Easter! All dressed for Easter Sunday! The children were so happy to celebrate the risen Savior in our home. I am amazed by the work God is doing for these children. I look forward to seeing what their lives will be like in the future as they journey with God discovering his plan for their special talents. They are so much fun! I can’t wait to be with them again! Sponsors it is time to send me letters if you want me to bring them! And a special thank you to everyone who has sent bibles! I’ve got stacks to carry to Uganda with me. The arrive without notes so I don’t know who to thank, but thank you all! And if you are still interested in sending bibles, we will always collect them and be sure to find children in the communities who need their very own bible! I can’t think of a better gift for a child.